Melissa Barnickel is CPA and a licensed insurance broker specializing in Long-Term Care Insurance (CLTC). She has worked in Long-Term Care Insurance (LTCi) industry for 19 years. 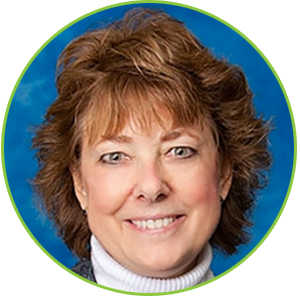 Additionally, over the past 36 years her extensive financial background includes a CPA certification where she worked as an auditor and consultant for KPMG, Controller and Vice President of Finance in the industry. The unique blending of knowledge of the LTCi industry and extensive financial background make Melissa an expert in providing her clients with a customized policy that enhances their retirement income and resources. When Melissa customizes a policy for a client she listens to what coverage a client hopes to gain from LTCi as well as their budgetary constraints. She is a broker of many different insurance carriers and as a result she will compare carriers and do all of the “leg work” and shopping for you. Melissa is a member of our local community. She is Coordinator of the Maryland Long-Term Care Insurance Roundtable, Past-Chair and current member of the Financial Planning Committee for MD Association of CPAs; Past-President and current Secretary of the Baltimore Chapter of Women in Insurance and Financial Services; Past-President and member of Geriatric Assistance Information Network; and member of Baltimore Estate Planning Council, Chesapeake Professional Women’s Network, Financial Planning Association of Maryland, Harford County Chamber of Commerce and Life Planning Resources.